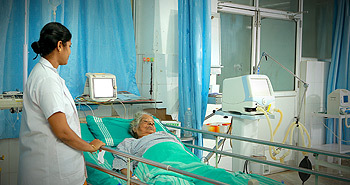 Dr. Somervell Memorial CSI Medical College, established in 2002, attached to the century old Dr.Somervell Memorial Mission Hospital is situated in a village – Karakonam, in the southern border of the Trivandrum District of the State of Kerala. The Medical College and all other institutions attached to it are owned and managed by the South Kerala Diocese of the Church of South India (SIUC). The South Kerala Medical Mission is a charitable society registered under the Travancore Cochin Literary, Scientific and Charitable Societies Registration Act Xll of 1955. The office of the South Kerala Medical Mission is in the LMS Compound, Trivandrum 695 033, the Head Station of the CSl South Kerala Diocese which is one of the 22 Dioceses of Church of South India established in 1947. This is the only Medical College for CSI spread over the 5 Southern states of Church and Srilanka. The Medical College is a self financing, minority institution, affiliated to the Kerala University of Health Sciences, Thrissur. The healing Ministry of the church aims at producing highly competent medical graduates and postgraduates, possessing a high standard of professional skill. They should, in the days to come, be precious assets to our nation. We are committed to create in the campus the best possible atmosphere and infrastructure for quality medical education. Our aim is to strive at instilling our students with a spirit of sacrifice, compassion for the poor, utmost humility in service and all those Christian values needed for a meaningful and useful life of a doctor for which the founding fathers stood and sacrificed their lives. Karakonam is 30 kilometers south (by Kanyakumari Road) from Trivandrum Central Railway Station, abutting the Vellarada Road fromTrivandrum as well as Parassala. State Transport buses and private vehicles frequently ply on the road. Dhanuvachapuram Railway station on the railway line between Trivandrum Central and Nagercoil is only 3 kms away from the college. Trains the medical students, nursing students and paramedical students.